Manufacturer of a wide range of products which include sprue coil heater, coil heater for plastic injection molding machine, hot runner coil heater, nozzle coil heater, hot runner tube coil heater and manifold heaters. 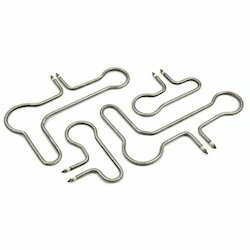 Owing to our rich industry experience in this domain, we are offering a wide range of Sprue Coil Heater. Used in area of moulds and dies, hot runner nozzles, injection moulding machines. Offered range is highly appreciated by our clients for their salient features. Keeping in mind the actual needs of our clients, we provide this range in customized options. Besides, clients can avail this entire array at affordable prices. 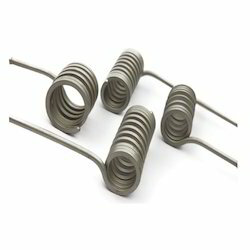 Available standard sizes are square 3mmx3mm, 3.3 mmx3.3 mm , 2.2 mmx4.2 mm. 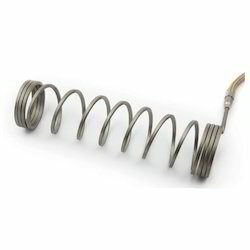 Backed by a skilled team of professionals, we are offering supreme quality Water Coil Heater. These heaters are precisely designed by our adroit professionals using excellent quality components and advanced technology. Our offered range is extensively praised by our valued clients for its features like high thermal conductivity, fast response and quick heat transfer, longer heater life. Moreover, these heaters are examined at our quality testing unit as per the international quality standards before the final delivery. We have earned our position as the leading manufacturer, exporter and supplier of high performing Ceramic Coil Heater for our esteemed clients. Our offered range is highly praised by our clients for their easy operations, low maintenance, longer heater life & high thermal conductivity. In order to meet maximum clients' satisfaction, these heaters can be customized in various options. Clients can avail this range from us at industry-leading prices. 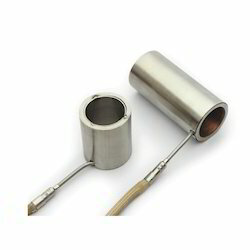 With the constant support of our expert team, we are engaged in manufacturing, exporting and supplying a wide assortment of Nozzle Coil Heater. These heaters are designed by our skilled professionals using superior quality components in order to ensure flawlessness and longer service life. Moreover, our offered range is supervised under the guidance of our quality c controllers. Our clients can avail this range from us at market leading prices. 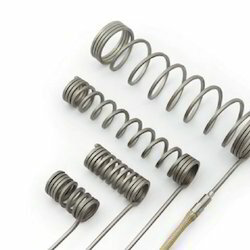 Our rich industrial experience supports us in offering a wide spectrum of Copper Coil Heater in domestic markets used in application areas like hot runner system, moulds and dyes. The offered array is praised widely for its features . In line with international quality standards, we are providing these heaters in various specifications as per the precise needs of our esteemed clients. In order to ensure the quality of these heaters, our quality controllers perform a series of test against various parameters. 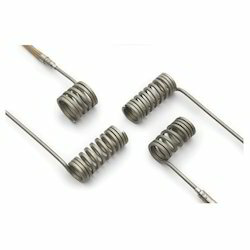 We are engaged in offering a qualitative assortment of Industrial Coil Heater. These heaters are manufactured, using top quality raw material, under strict guidelines taken by our team of engineers. These heaters are widely accepted as a mode of heating due to their flexibility with which these can be formed into any shapes and sizes depending on the applications. Our heaters are praised for superior performance that stands our products far ahead in the competitive market scenario. In order to meet ever–evolving needs of our valued clients across the nation, we are offering a vast spectrum of Coil Heater. Our product is designed and developed for heating purposes in residential as well as industrial uses. The offered variety is meticulously tested by our quality controllers, on well defined parameters, in order to ensure our heater’s flawlessness in the markets. 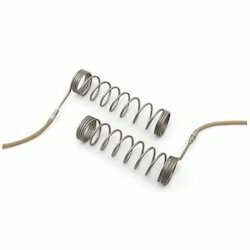 These coil heaters are available in various sizes and designs in compliance to meet internationally set norms. 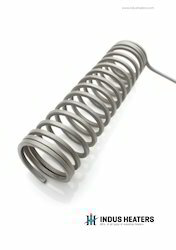 We are the leading manufacturer, exporter & supplier of Electrical Coil Heater. At our well equipped production lab, advanced technology is used to deliver a flawless range to enable us aim for high levels of client's satisfaction. To meet the diverse requirements of our valuable clients, we offer this range in variegated models, sizes and specifications. Our valuable client can avail this from us at marketing leading prices.